I love new improvement, as we know it’s the sign that human is gaining more and more knowledge on how to live a simple and easy life. This gives us the opportunity to think what else we can do to help save our environment. 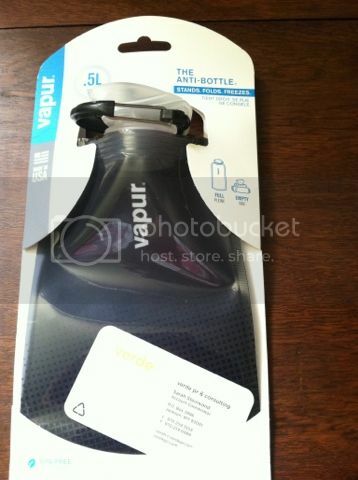 I was glad to receive an email from Vapur to work on a product review. I’m very excited for the opportunity since it would be a different experience to have. 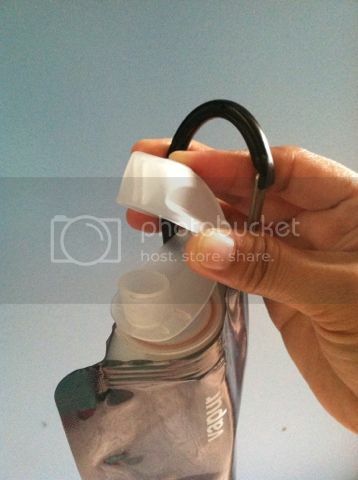 They created the anti-bottle that would help us carry our drink without the hassle of those bulging metals. I was very surprised about the product and the capability it can do. BPA Free and Dishwasher safe too, the product is also made in the USA. Another consumer we should be supporting in order to help our economy. It is designed to perform the simple task it can do for human beings. The Supercap has the tough seal yet easy to open. After I cleaned the product, I notice that it doesn’t have that plastic smell or a taste of a plastic. It can be frozen too, if you wish to have a cold drink on a hot summer day. Easy to store, when you’re done all you need to do is to roll it up and hook it to the metal attached to the lid, that’s it. See how handy it is.. Very convenient, it is very light that you wouldn’t even believe you are holding an amount of water. No worries the anti-bottle can also stand on its own, yes! The bottom part has a wide space that is capable for the product to stand. What can I say the anti-bottle is very handy? I am way pleased that I have experience and be part of this superb product. 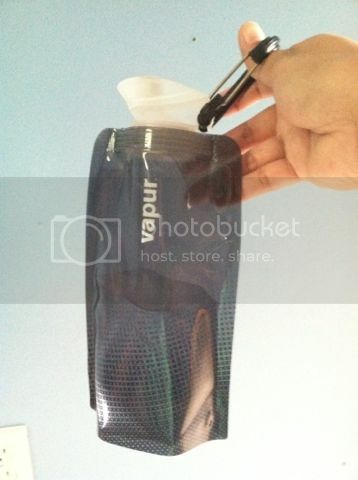 If you wish to purchase and experience Vapur please visit them @ http://vapur.us/. You may also follow them on Twitter to learn more. A disclaimer: This is not a sponsored post. I received the Vapur products for free in exchange of my honesty review. The outlook I expressed is 100% exclusively mine. i have one as well for travelling as I cant live without water I have water anywhere and this is indeed very good for carrying it! perfect for travelers! Thanks for sharing this- got an idea! My daughter has one similar to this and we like bringing it outdoors. This looks great to have when going on a hike or camping! 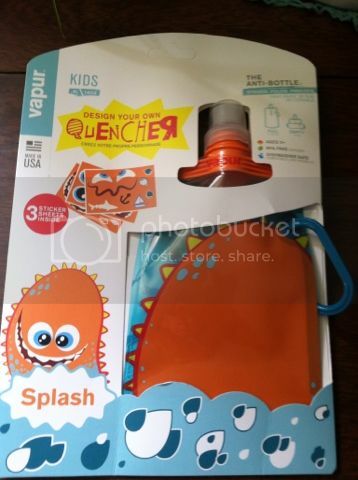 I got some of these for my kids to use in their lunches but they didn't like them as well as normal water bottles. They do, however, love them when we go hiking because they are so much lighter and take up less space in their backpacks. I hate the metal water bottles. I have been wondering if these work, glad to know they do. I will definitely be getting some. Thank you for sharing. We never had one. I wonder if it's too costly. I first saw this kind of water bottle from an officemate like last year, and I was really amaze. It saves space if you put it in your bag. Nice review and the products suits well travelers, runners and all people-on-the-go. I love how innovative this is and the holder is awesome and could be attached to anything. I think this is a very useful product which I'll consider buying. Hubby bought some of those for our kids, they are really very handy! This is a very cool water container. I for one will benefit for this as I always carry a bottle of water in my bag. And I hate to carry bulky ones. This eliminates trash, thus- helps mother nature. What I love here are the sealed cap and you can any kind of liquid temperature.